- Update: Two new fish! This is a content update adding a new background painting, and a couple new fish! The background is a very cool undersea city painted by Kim Lathrop! Hello. My name is Jack and I recently paid for the upgraded version of Aquarium Live Wallpaper twice and I still don't have it on my Acer A100 tablet!! Please let me know what is going on. 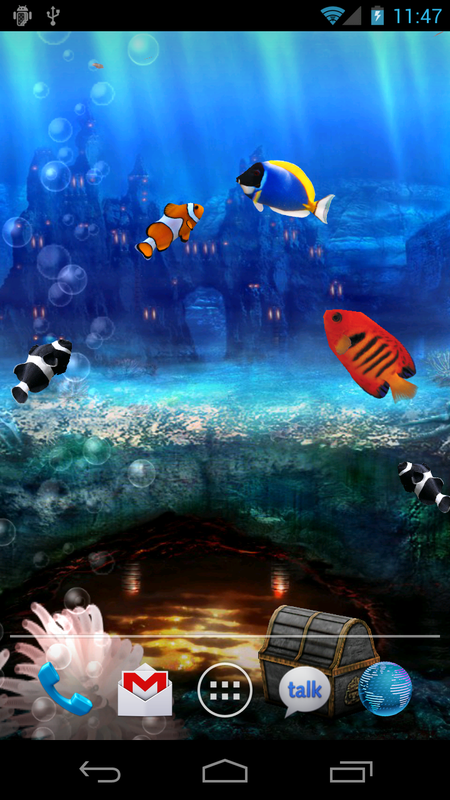 Have you gone to your live wallpapers listing and looked for the full version? The free and paid versions are separate downloads, it doesn't just switch out on its own. We're part of Humble Android Bundle #2! Are you an NCAA Basketball fan? Check this out!